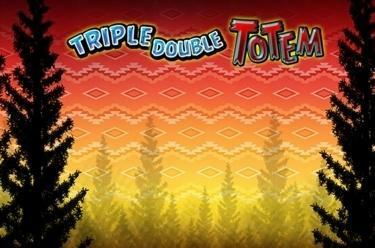 Play Triple Double Totem online for free now! The indigenous people of Canada celebrated their relationship with nature by carving and worshiping totem symbols as guardian spirits. 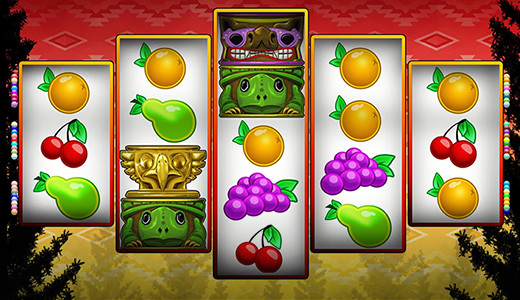 Play Triple Double Totem to discover which of the colourful symbols will bring you luck! This extraordinary game with five reels and a 3-4-5-4-3 game grid features lucrative win multipliers! Land five identical symbols side by side on one of the lines running from left to right to bag big Twist wins. Three matching symbols are also enough for you to be a Twist winner! What’s unique about this game is that the totem symbols can appear stacked on top of each other to yield a mix of Twist winnings. The win multipliers x2 and x3 can substitute for every other symbol (except for the Bonus symbol) to complete winning combinations and multiply the line winnings. If several multipliers complete a symbol combination, these winnings could be multiplied up to nine times depending on the type of multipliers. Three or more Bonus symbols anywhere on the reels trigger the Bonus Wheel feature. As soon as you land three or more Bonus symbols (Scatter), the Bonus Wheel will appear, featuring a variety of Twist winnings. The sections of the wheel with fixed wins are marked red; the more Scatters you got, the more sections are highlighted – the maximum is seven. Simply spin the wheel and scoop up your Twist prizes! A totem pole not only looks cool, but up close it also gives you a sense of being at one with nature. The slot Triple Double Totem is dedicated to this mystical power which, with a little luck, can also fill your account with Twist winnings!